Sometimes as a business owner, marketing manager or decision maker in a business you could really do with speaking with someone who knows their onions. With so many companies trying to sell you services on a daily basis, it can be hard to filter the wheat from the chaff, particularly when you are bamboozled with jargon. That’s why we offer an independent service as your Digital Lifeline. Our team of experts at Contrado Digital have a wealth of skills, knowledge and experience dealing with digital marketing, online technologies and everything you can think of in-between. As a business assessing digital marketing opportunities and trying to understand the new digital world that we live in, it can be difficult to judge whether you are making the right or wrong decision. Particularly when you can only make a decision based on what you currently know now. It’s impossible to make an informed decision when they are factors that you simply don’t know or haven’t been made aware of. Often what we see is that businesses make decisions that are simply not suitable for a variety of reasons and the decisions made aren’t going to be suitable for the needs of the business in the near future. What all of these poor decisions often leads to is a business having to pay, again, and again, for something which has to be built again from scratch. Poor decisions cost money, bad decisions cost even more. As a business owner, marketing manager or decision maker you often don’t know if you are making the right of wrong decision though. Any human being can only make a decision based on the information they are presented with and judging this based on past experiences. Wouldn’t it be great to have someone at the end of the phone or to email to check in with and bounce ideas off? Wouldn’t it be great to speak with someone who will give you an honest opinion about what you are doing, where you are going wrong or what other areas you could be improving on? And wouldn’t it be great if you could do all of this without the large investment needed for professional services? Yes, it would be great. That’s why we offer a range of Digital Lifeline packages to suit your individual needs. Never have to worry again about not being able to ask someone before you make an important decision. Check in with an expert to ask them anything you like, whenever you like. With packages available to suit your needs, imagine the progress your business could make if you could shortcut your learning curve and avoid making the same mistakes we see so many businesses make. You can work hard or smart. We choose to work with businesses who are smart. Being able to call on our skills, knowledge and experience whenever you like allows you to learn from an expert and avoid making the same mistakes many other businesses make. The smarter decisions your business makes, the faster it grows. The Digital Lifeline services are designed for you to save time and money by just asking an expert for their honest and non-sales focused advice. Avoid making the same mistakes we see so many businesses make, all of which are preventable when you have a Digital Lifeline to call upon whenever you need. However you choose to spend your time is completely your choice, whatever you need, we’re here. Naturally, the people you will be dealing with are experts in their field. Having worked with many multi-national and national brands all the way down to startup businesses. The advice you receive is based on years of experience delivering results for high growth businesses. You can count on the advice you are being given. 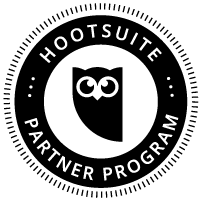 And if that isn’t enough, our staff are Google Analytics qualified, Google AdWords Qualified, Qualified HootSuite Professionals and have been shortlisted in over 11 digital marketing and business award categories. In addition, you will also be glad to know that we do not hold you to ransom with lengthy contracts, so if you decide that you are now heading in the right direction, then simply let us know and that is absolutely fine. If you are looking for a higher level of support with a digital marketing campaign, web design project or other, then some of our more hands on services may be better suited for the support you need. The reason why the Digital Lifeline packages exist is because we see time and time again businesses making the wrong decisions based on poor information, knowledge and education around digital technologies. When a simple job that should take 10-15 minutes to complete turns into a job which we often pick up the pieces costing into the thousands. Avoid making the same costly mistakes as others by running ideas by an expert in their field. It is hugely important that you are working with the right digital agency as what may appear to be a cheaper option in the first instance, this will cost you more in the long run when bad decisions are made by inexperienced people.